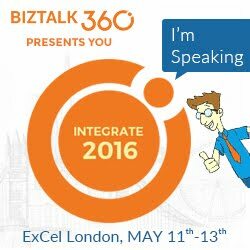 In a previous post, I discussed Microsoft’s integration road map particularly related to Microsoft BizTalk Server. The foundation of that post was based upon Tony Meleg’s presentation from the World Partner Conference. The good news is that today, Microsoft has given us a glimpse into what is to come with respect to BizTalk Server. Previously, Tony cautioned us that Microsoft will continue to support BizTalk and will introduce incremental changes to the platform. Where as most of the innovation will occur in the Azure AppFabric space. 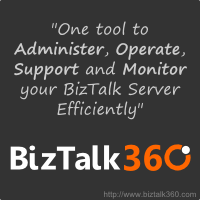 The next version of BizTalk Server is currently called BizTalk Server 2010 R2. I suspect they are calling this an “R2” release since it is an evolutionary release that particularly focuses on platform alignment with Windows Server 8, SQL Server 12 and Visual Studio 11. For those of you who do follow the BizTalk scene closely you may recall that BizTalk Server 2010 was originally called BizTalk Server 2009 R2 when it was in beta. It was renamed to BizTalk Server 2010 prior to RTM. So who knows if the BizTalk 2010 R2 name will stick but for now that is the name we will go with. Of the features mentioned, I certainly will not complain about improved performance and am happy to see tighter integration with Azure AppFabric. I really hope that they introduce a smoother way of integrating with Azure AppFabric Queues and Subscriptions. I am a little disappointed that there was no mention of fully supported REST endpoints, but it is early so I am hoping that Microsoft will surprise us with that feature. I have only touched on some of the new features that will be available. You can find the complete post from Microsoft here.